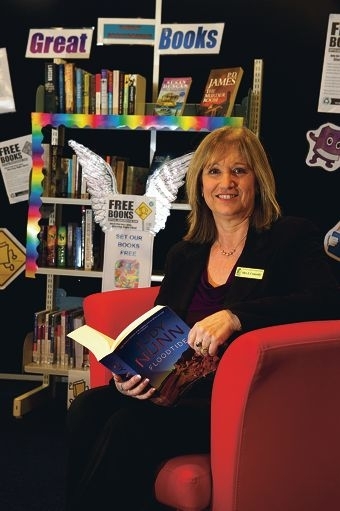 A television program inspired Peter Moyes Anglican Community School library officer Leanne Connolly to introduce the free book-swap concept, which operates in more than 130 countries. Participants leave unwanted books at the senior school library zone for others to read and return or ‘release into the wild’ at a bus stop, park, a shop or on an overseas holiday for someone else to enjoy. Each book is registered and labelled with a tracking number so the original owner can monitor its journey online. ‘So often you find wonderful books and leave them on the book shelf at home collecting dust when they should be in the hands of other booklovers,’ Ms Connolly said. ‘This (zone) allows our community to connect through the love of good books and follow the journey of each book that has passed through our doors. The Idaho-based international scheme involves about 1.9 million ‘book crossers’ and 9.8 million books travelling through 132 countries.